Is Edward in your heart? He’s in ours – literally! 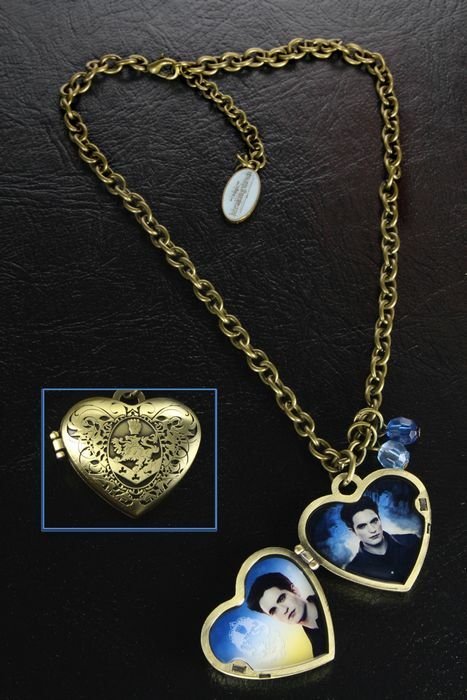 This Breaking Dawn Part 2 heart-shaped locket is engraved with the Cullen family crest and opens to reveal two photos of Edward looking his most vampiric. Closed, the locket measures about 1.5″. It comes with a 15″ bead-accented chain and a 2″ extender.